Adam Trinder isn’t worried about cheap gimmicks or incentives to try and garner support for his stable star Mystic Journey. He wants results to ultimately be the deciding factor for voters when it comes to sorting out the field for next month’s lucrative All-Star Mile at Flemington. On current form, Trinder should have nothing to worry about ahead of the February 18 closing date. The three-year-old filly has barely put a foot wrong in her 10 starts so far, winning seven times including group two and listed races in Melbourne and a stunning come-from-behind win a fortnight ago in the Lady Lynette at Mowbray over 1100 metres. “We’re in 16th on the leaderboard at the moment and the top 10 get automatic entry into the race, so we need all the support we can get,” Trinder said. Jockey Anthony Darmanin guides Mystic Journey to victory at Moonee Valley in October. Picture: AAP/Mark Dadswell. “On merit you would think she deserves a spot – all the horses currently in the top ten are below her on the form card, but that’s what has gained the public attention so far. “It’s a really different concept, an exciting concept, but being the first year of it, I’m not really sure how it’s going to play out. 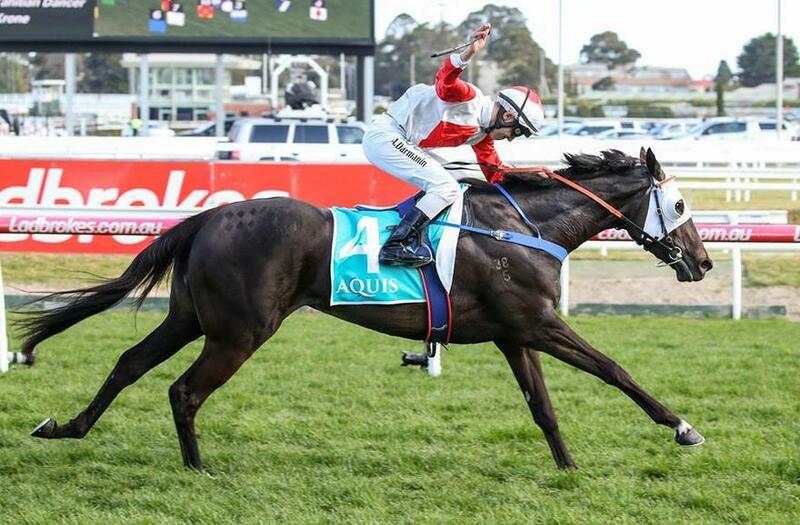 While connections of some of the other 124 horses nominated for the $5million race are offering free beer as a lure, Trinder is confident that good results in Mystic Journey’s next two outings, starting this Sunday at Elwick, will attract attention. “Her next run is in the Thomas Lyons at Elwick on Sunday and then the Australian Guineas at Flemington on March 2. “We’re really hopeful that if she couldn’t rally up enough votes to finish in the top ten that she could win the Guineas and get in as a wildcard, but in an ideal world we would like the public behind her. “We’re a little bit behind the eight-ball in regards to marketing – I’m a race horse trainer so it’s all very new to me – so we’re hopeful the filly does the talking herself. We’re a little bit behind the eight-ball in regards to marketing – I’m a race horse trainer so it’s all very new to me – so we’re hopeful the filly does the talking herself. “We don’t want to cheapen it in any regard and are very respectful and gracious for the opportunity to compete in these races. Trinder said the success of Mystic Journey on the mainland has helped lift the profile of his stable. “It has gained a lot of traction for our stable and we have received a a lot of new interstate clients from it because they see we have some nice horses down here and we are doing a really good job,” he said. The public can vote for Mystic Journey at www.allstarmile.com.au.